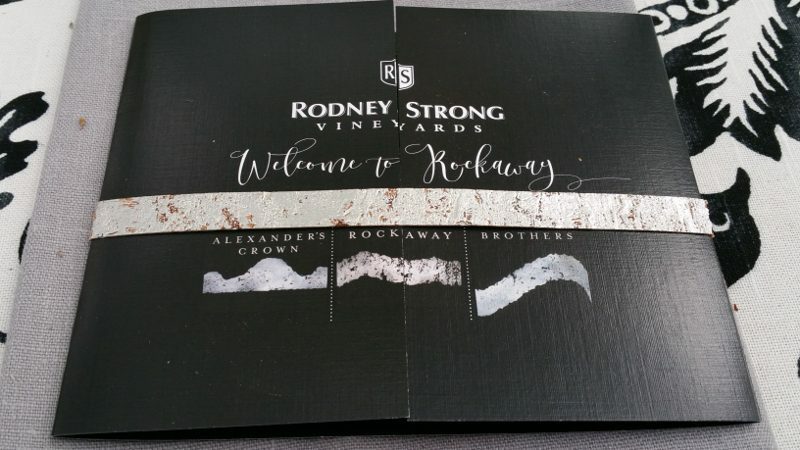 Rodney Strong Vineyards recently hosted a dinner in the heart of the Rockaway Vineyard to celebrate the release of three single vineyard cabernet sauvignons from the Alexander Valley. Overlooking the vineyard, guests dined on food by Chef Tara Wachtel while enjoying the wines of Rodney Strong with owner Tom Klein, winemakers Rick Sayre and Greg Morthole and grower relations’ manager Ryan Decker. Rodney Strong Vineyards, established in 1959 by dancer Rod Strong and purchased by the Klein family in 1989, owns 12 estate vineyards in Sonoma Country. Three of the vineyards, featured at the event, are from the Alexander Valley. Every five years, a world exposition takes place somewhere around the world. This year, from May 1st – October 31, 2015, Milan, Italy, is home to the World Expo. Focused on a theme of global importance each year, the theme of Expo Milano 2015 is Feeding the Planet, Energy for Life. There may be no other singular issue of importance or relevance today as we focus more on sustainability. The entire Expo Milano covers almost 250 acres (1 million square feet). It is inspired by an ancient Roman city with two perpendicular roads, Decumano (aka World Avenue) and Cardo, intersecting at Piazza Italia. Decumano is lined by unique pavilions designed by each country, using sustainable and recyclable materials. Each pavilion uses low-impact energy sources and were built with the idea to be temporary and pulled down after the Expo. As visitors wander from pavilion to pavilion, there are thematic clusters stationed throughout the exposition area that bring together communities by a common theme or food group. The nine clusters are dedicated to various themes: Rice, Cocoa and Chocolate, Coffee, Fruits and Legumes, Spices, Cereals and Tubers, Bio-Mediterraneum, Island Sea and Food, and Arid Zones. Within each cluster, different countries are brought together around the common theme and create an experience that immerses visitors into it. According to the Expo Milano website, rice is one of the world’s most important and widely consumed food staples that feeds almost half of the world’s population. Rice can be grown almost anywhere and is a primary source of nourishment. Once dried, it has a long shelf life. The countries represented in the Rice Cluster are Bangladesh, Cambodia, Laos, Myanmar, and Sierra Leone. Through reflective mirrors, a rural setting is created featuring different varieties of rice growing in paddy fields. Fact: A key element in many cuisines, rice has been eaten by people for more than 10,000 years, according to Expo Milano. The Cacao cluster is set up like a real jungle with cacao trees in a warm and humid atmosphere. Countries represented are Cameroon, Cote D’Ivoire, Cuba, Gabon, Ghana, Sao Tome and Principe. Cacao has been used as currency and was a key component in the Mayan and Aztec cultures. According to research presented on the Expo Milano website, there are more than 30 emerging countries that sustain their countries on cacao crops. Set up like a forest with tropical trees, the countries that belong to the coffee cluster are Burundi, El Salvador, Ethiopia, Dominican Republic, Guatemala, Kenya, Rwanda, Uganda, Yemen and Timor-Lest. Fruits and legumes are essential in a healthy and nutritious diet. At the Expo, this cluster features a real orchard of fruit trees. Countries belonging to this cluster are Benin, Democratic Republic of the Congo, Equatorial Guinea, Gambia, Guinea, Kyrgyzstan, Uzbekistan, Sri Lanka and Zambia. Spices are a key ingredient in recipes around the world. Spices are used for medicinal and cosmetic purposes. Spices connected distant countries along the spice route, enhancing commerce. The cluster, consisting of Afghanistan, Brunei Darussalam, United Republic of Tanzania and Vanuatu, offers a journey of the senses through colors, flavors and aromas. Fact: According to research presented on the Expo Milano website, the spice trade is growing with production increasing over 4% and trade increasing 6% over the last 10 years. The most common crops around the world, the Expo Milano website estimates that there are over 10,000 varieties of cereals and tubers but only a few are cultivated today. The cluster, consisting of Bolivia, Congo, Haiti, Mozambique, Togo, Venezuela and Zimbabwe, demonstrates different examples of land cultivation. Inexpensive but nutritious, cereals are the staple diet and main source of calories for many of the world’s population and the Expo website suggests that focusing on neglected varieties of cereals and tubers could assist with the increasing global demand for food. Fact: Wheat, rice, maize, millet and sorghum make up 60% of the world’s energy intake, according to research presented on the Expo Milano website. Expo Milano takes place May 1st thru October 31st, 2015. But whether or not you visit the expo, it is time to imagine a better future and to see how countries around the world are creating solutions to take care of the Earth in a healthy and sustainable way.